"The starting of beauty is always starting with some good skincare." 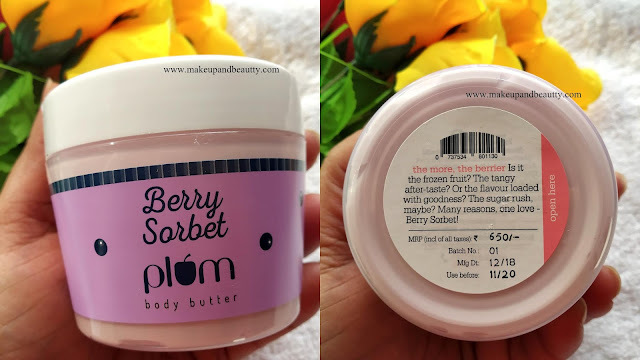 Today I am up with the review of the recent launch of Plum Goodness BODY BUTTERS. 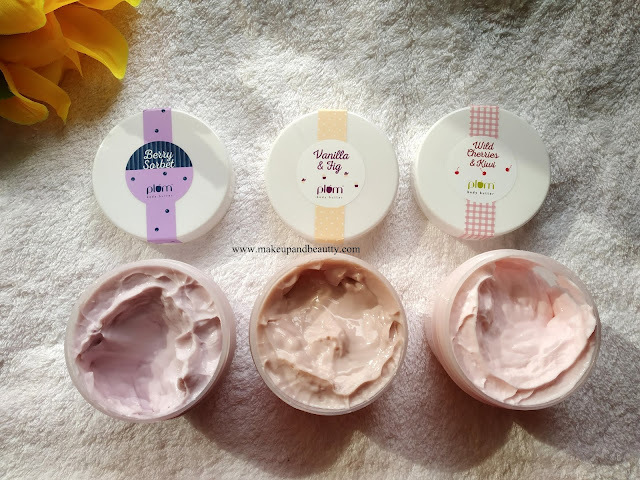 Plum has recently launched BODY BUTTERS in 4 variants. and BERRY SORBET. 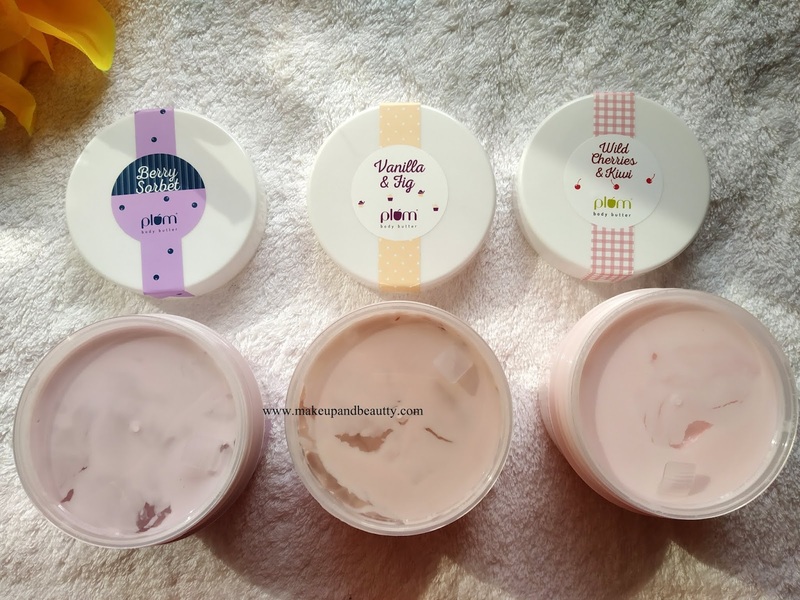 All the body butters are for all skin types. 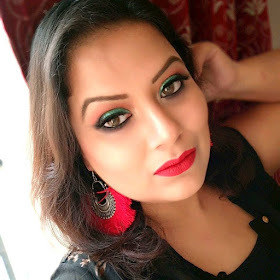 ***You can apply them on your face on your dry patches too. Price:- Rs.650/- each for 200 gm of product. A near-perfect moisturizer from nature that's got the right fatty acid profile & is also rich in natural antioxidants. Rich in Vit C, Fig Fruit Extract is a relatively new entrant to skin care, gaining popularity because of its anti-ageing and skin conditioning properties. Captures the essence of the vanilla bean, through steam distillation. Everything that's inside: Aqua, Butyrospermum Parkii (Shea) Butter, Cetearyl Alcohol, Ethylhexylglycerine, Fiscus Carica (Fig) Fruit Extract, Fragrance, Glycerin, Glyceryl Stearate, Helianthus Annuus (Sunflower) Seed Oil, Niacinamide, Phenoxyethanol, Stearic Acid, Triethanolamine, Vanilla Planifolia (Vanilla) Fruit Water. 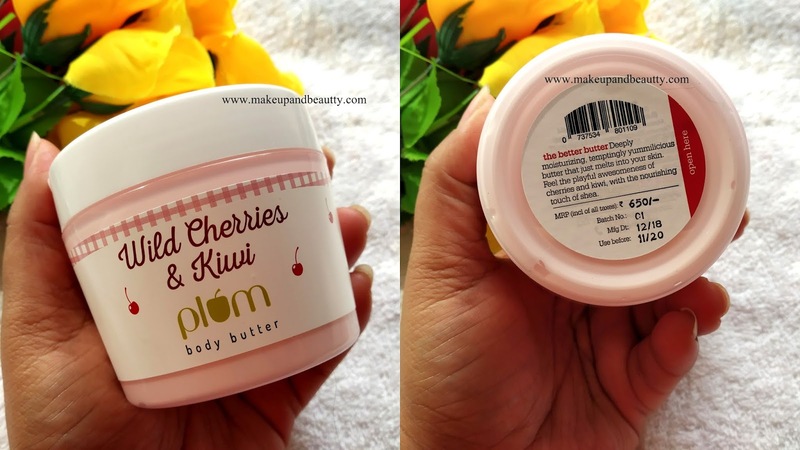 Capturing the volatile aromas and flavors of fresh wild cherries, not only is this ingredient rich in antioxidants, it also imparts a natural fragrance to the body butter! The high concentration of ALA (Alpha Linolenic Acid) in kiwi seed oil helps to maintain moisture in the skin and prevents drying and scaling. Proven skin conditioning agent that helps smoothen skin and fight uneven pigmentation. The cold-pressed blackberry seed oil used in this body butter is natutally rich in omega-3 fatty acids, vitamins and antioxidants. 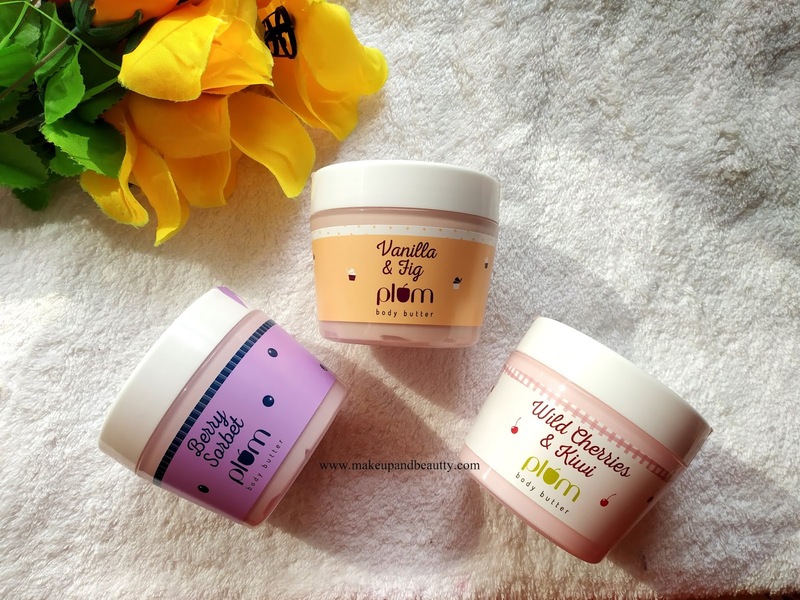 It's best to use body butters right after a shower - the moisture gets sealed in. 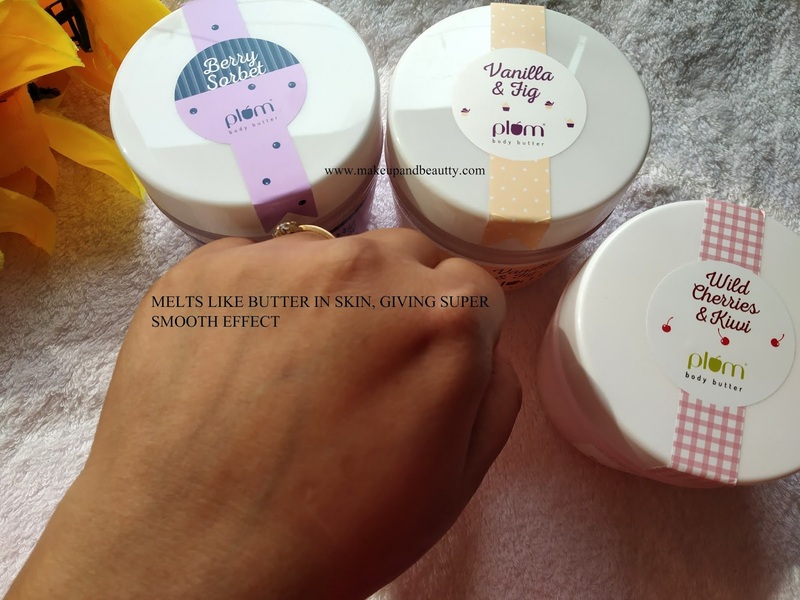 But feel free to slather on the goodness anytime to keep dryness away! All the body butter comes in a huge tub. 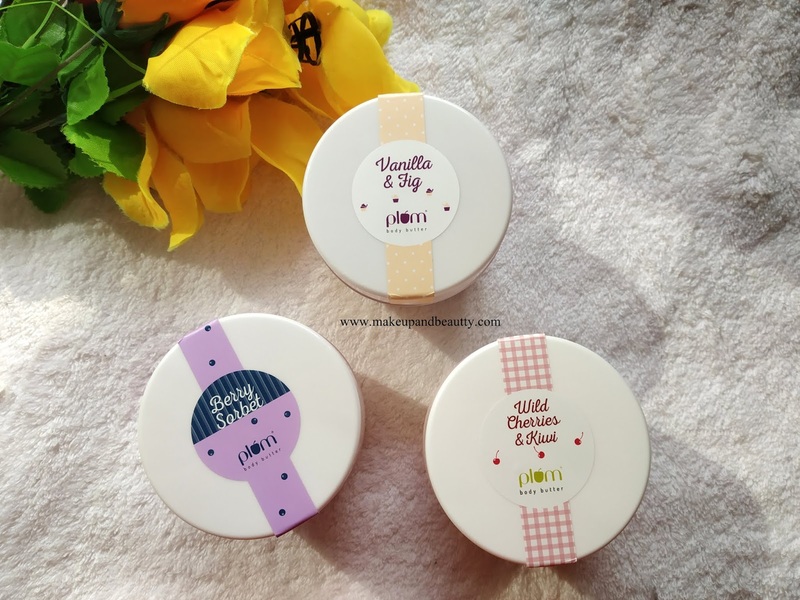 The packaging is simple yet cute. each has different mild yummy fragrance and different color too. 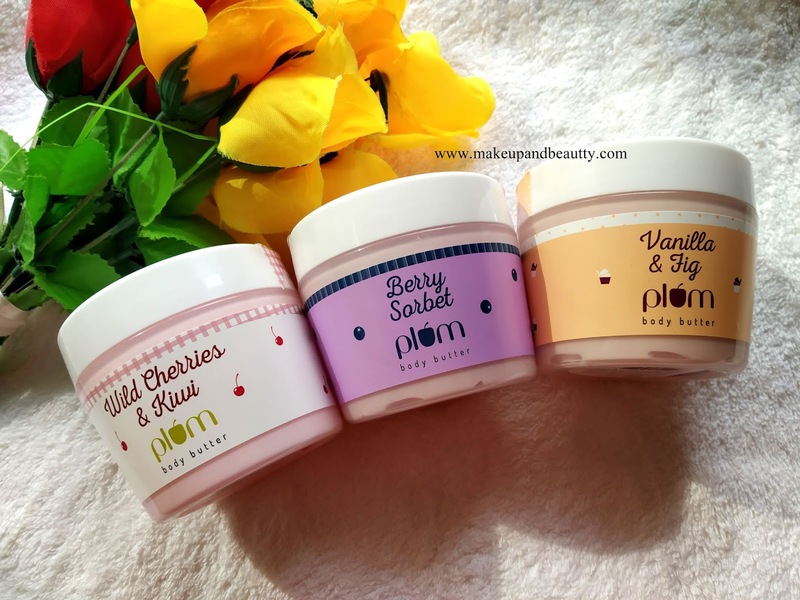 Among all four body butters I picked 3 of them and they are VANILLA & FIG, BERRY SORBET, WILD CHERRIES & KIWI. I love the fragrance of all of them. These body butters melt deep into my skin making it instantly soft. My rough hands immediately feel moisturized whenever I apply it. 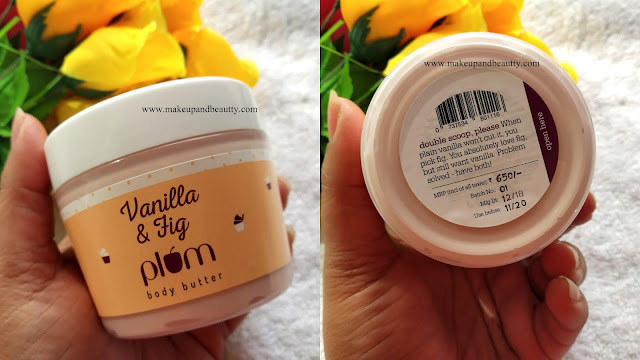 A deeply hydrating, emollient body butter that's not just effective, but a sheer delight to smell and feel. It keeps my hands soft for hours and all of them smells so good. 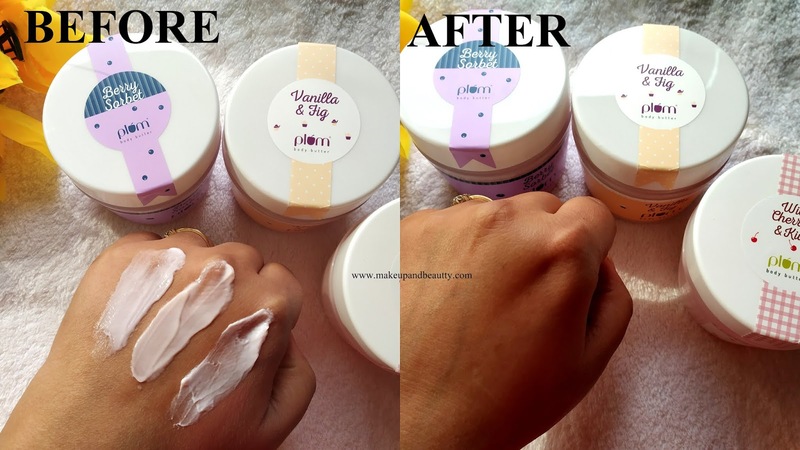 ♥ You only need a little amount for each use. 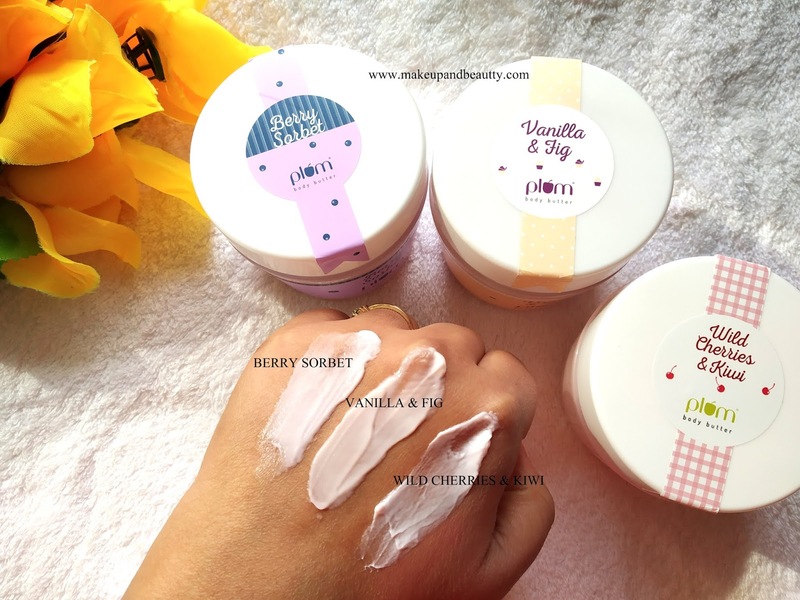 ♥ Paraben-free, SLS-free, phthalate-free & vegan. If you are looking for affordable body butters then Plum Goodness body butters are best till date to invest in it.